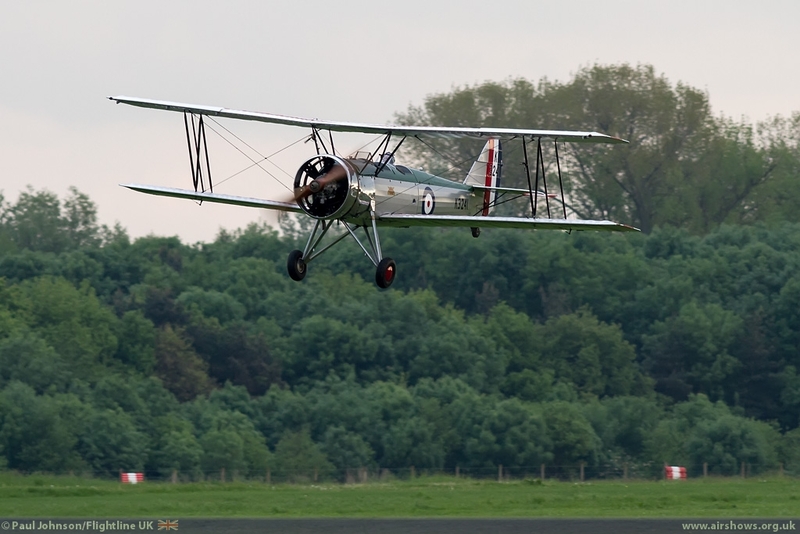 The Met Office see the 1st June as the start of meteorological Summer and after the coldest Spring on record, it was good to see a relatively warm day with broken white clouds for Old Warden's fourth event of the display season, and their second Flying Evening. 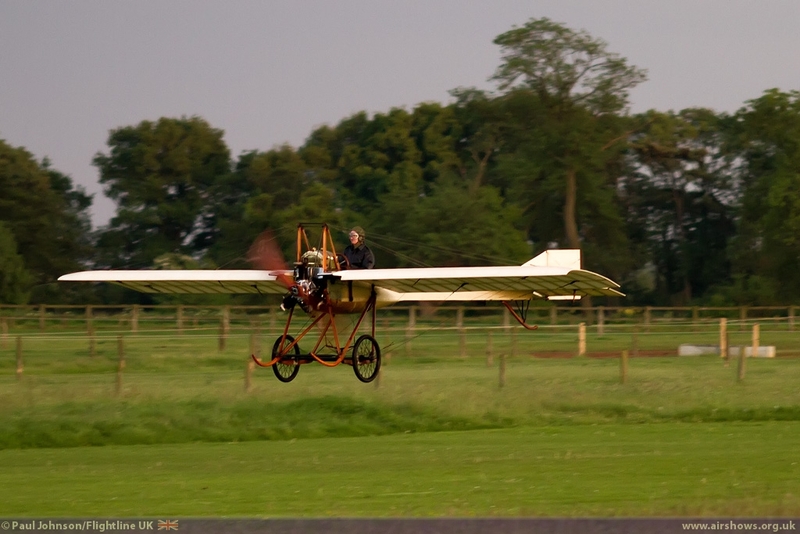 Though slightly smaller events than the Flying Days, the evening events are where Old Warden really becomes magical. 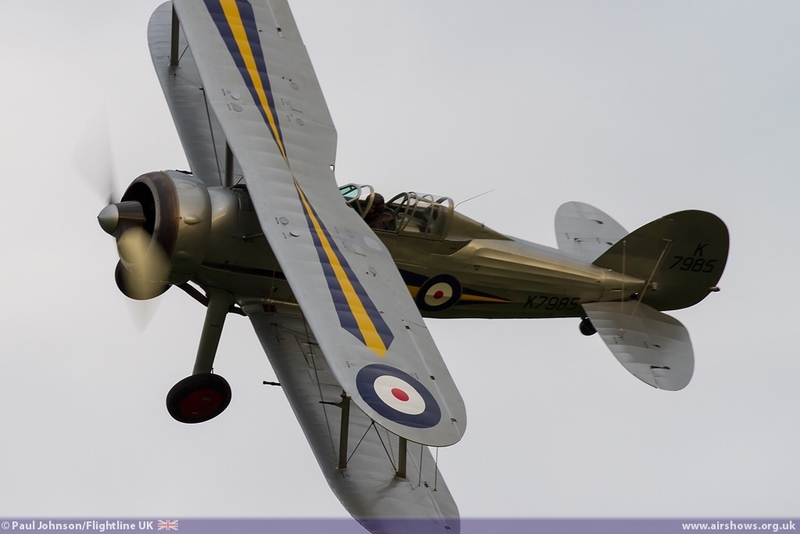 After the abysmal weather that curtailed so much of Old Warden's flying displays season during Spring and early summer last year, it is certainly very welcome that 2013 has seen much better weather with just some cloud and cold biting breezes to worry the April Flying Day. 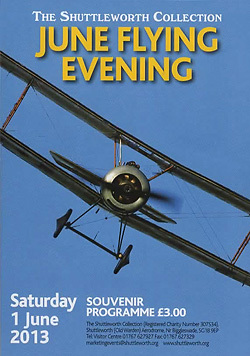 2013 only sees three flying evening displays. 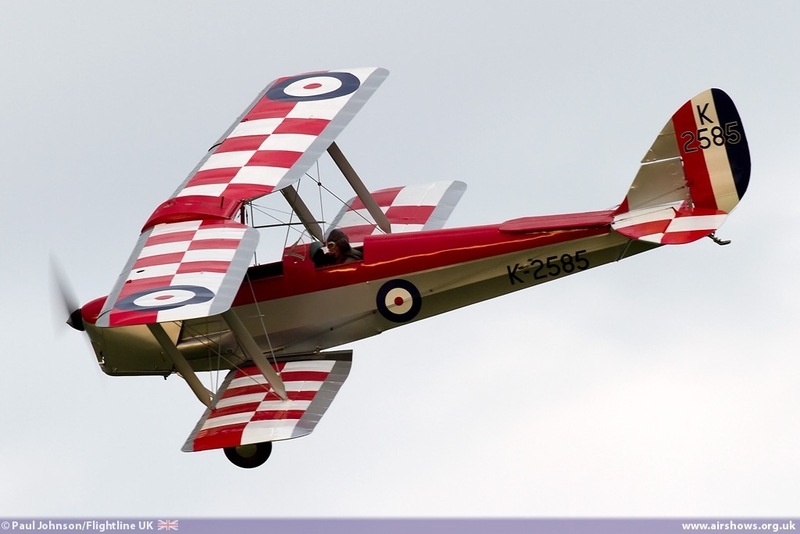 When the weather is perfect, these flying displays are the best of the year with no wind and lovely evening sunlight illuminating the fabric covered biplanes and smoke trails of the display aircraft. 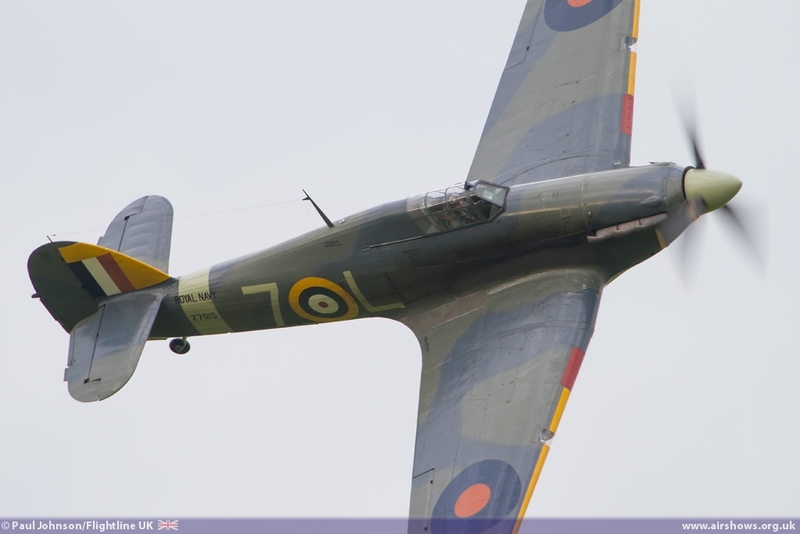 Despite being a very warm day, cloud did block the sunshine for much of the display only to finally break though at the very end. 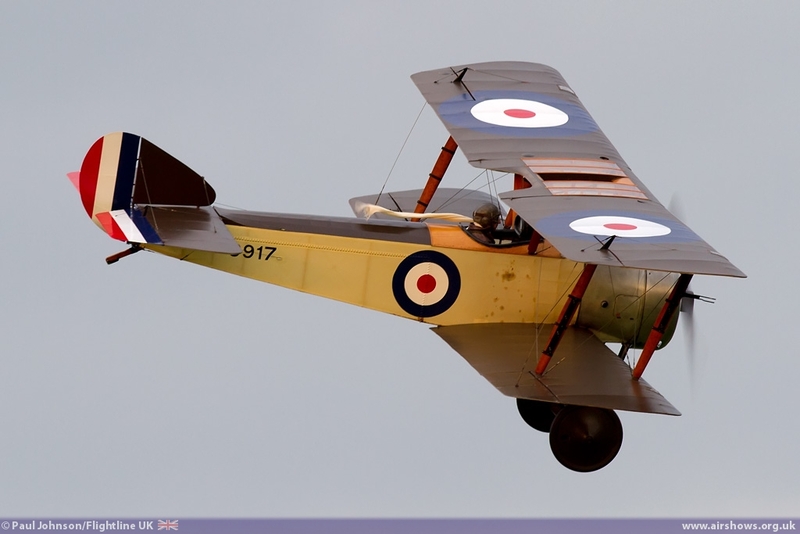 Quite often, Old Warden displays attract interesting visiting aircraft and for this display one of the Little Gransden Spartan Executives made a fine sight on the crowdline and departing the sunset. 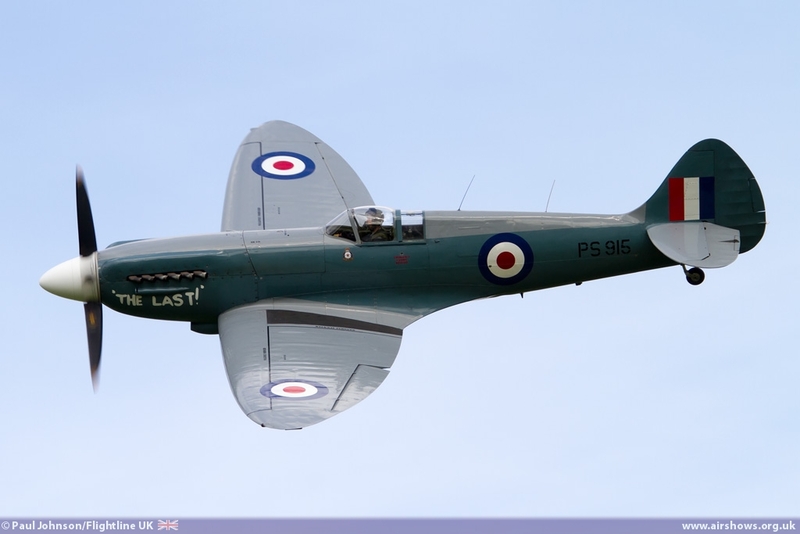 Opening the afternoon's flying activity was the Battle of Britain Memorial Flight's Supermarine Spitfire PRXIX flown by Flt Lt Anthony 'Parky' Parkinson who gave a short but punchy display in the Griffon powered aircraft before the traditional vehicle parade along the crowdline. 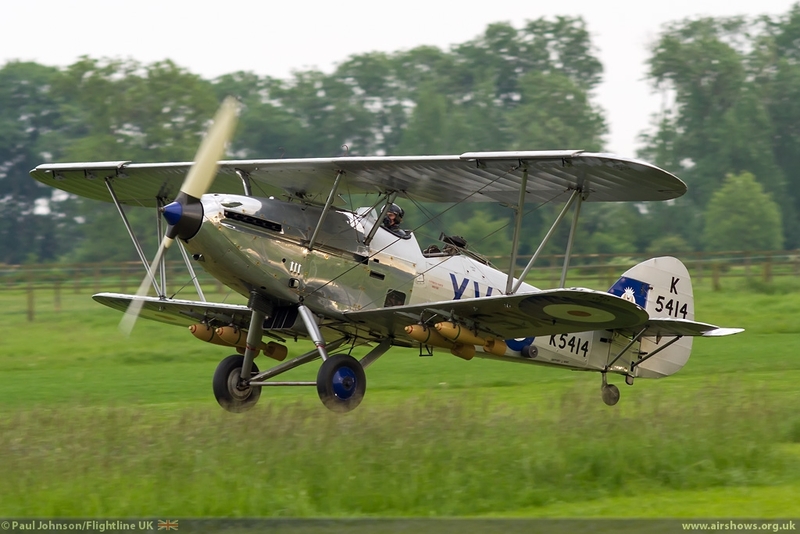 Flying resumed with a continuation of the Second World War theme with a Western Desert scenario pitting Peter Holloway's Fiesler Storch against the Shuttleworth Collection's Hawker Sea Hurricane Ib highlights the great difficulty such slow and agile machines posed to fighter pilots. 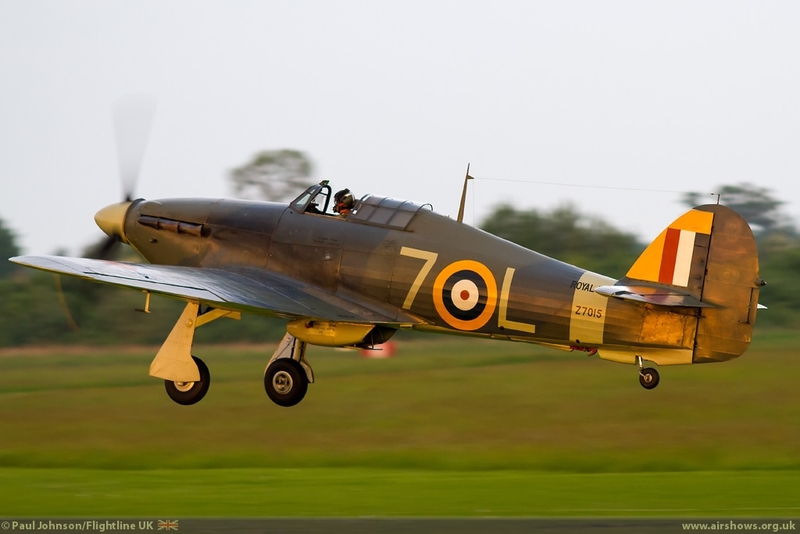 The Fiesler played dead by making a quick landing while the Hurricane attacked before making a cheeky getaway once the fighter had flown off! 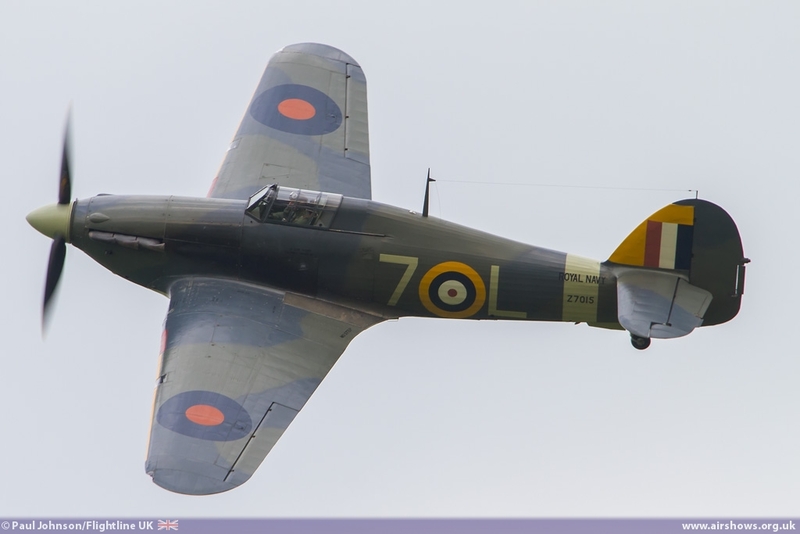 The Sea Hurricane returned again towards the end of the flying programme in some glorious light for a pilot familiarisation flight and practice display. 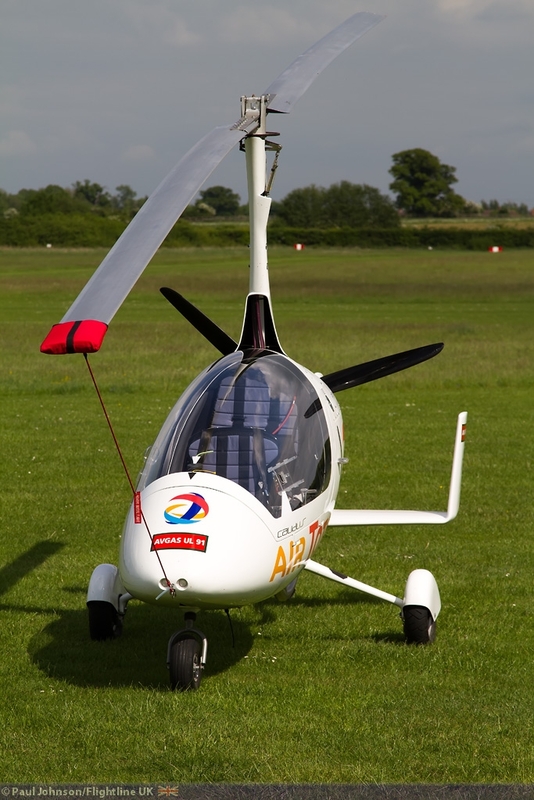 The flying display was graced by two vintage glider displays with the impossibly simple Eon TX-1 Primary Glider and the graceful Kirby Kite. 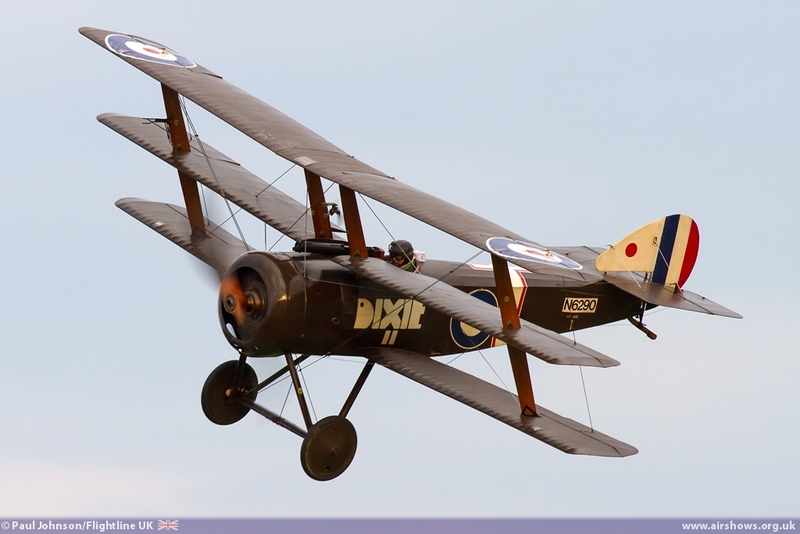 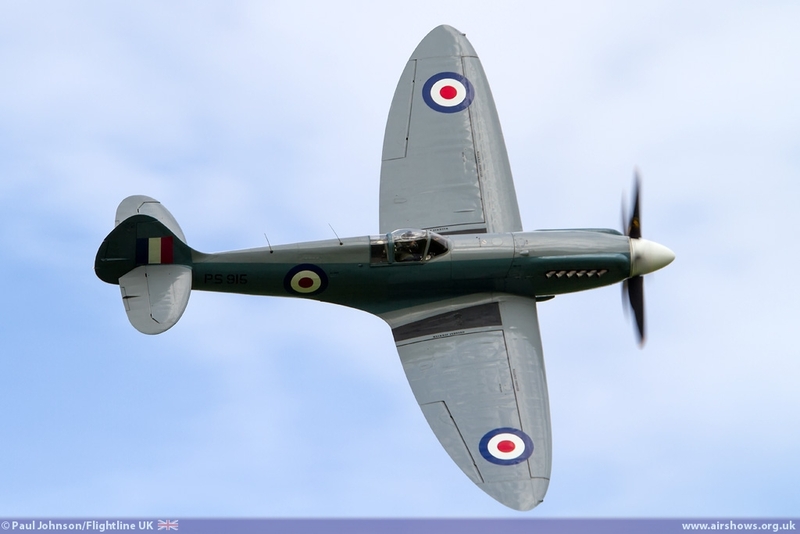 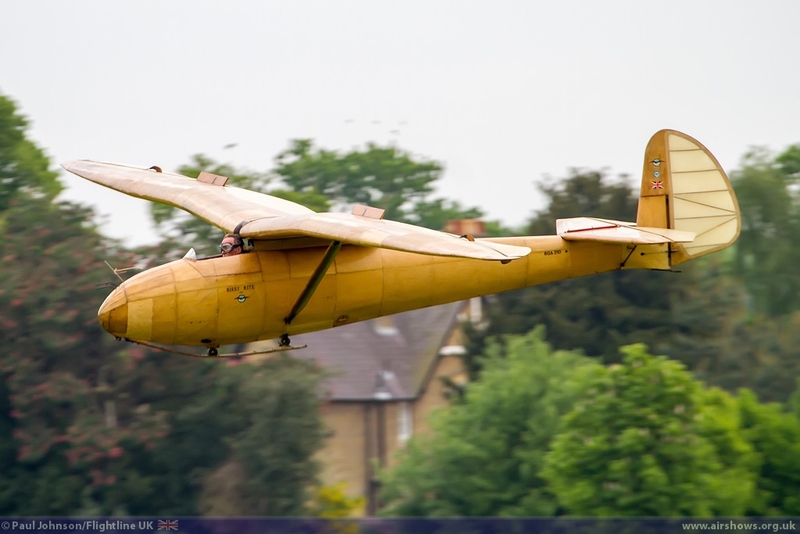 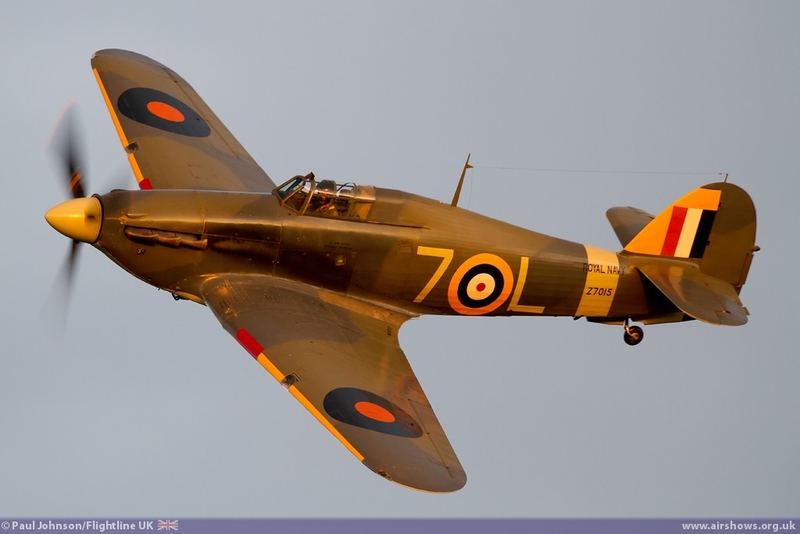 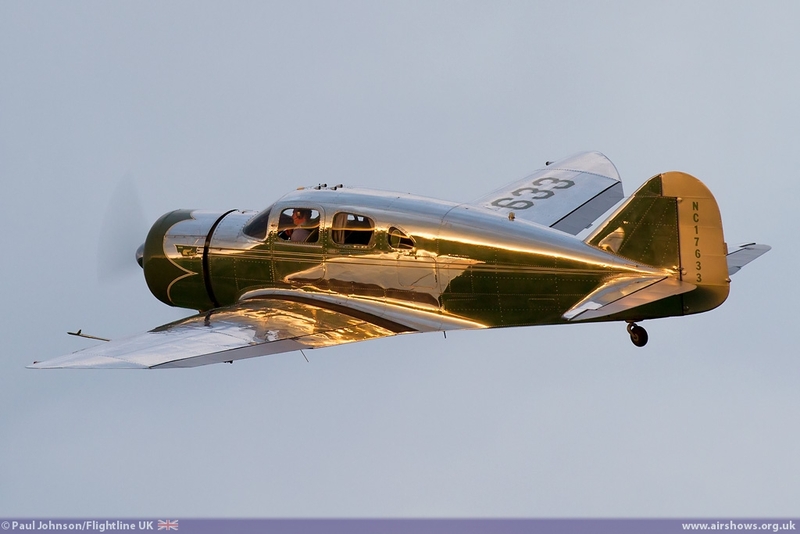 The latter is a stunning looking machine with its varnished wood fuselage and clear canvas and dope wings. 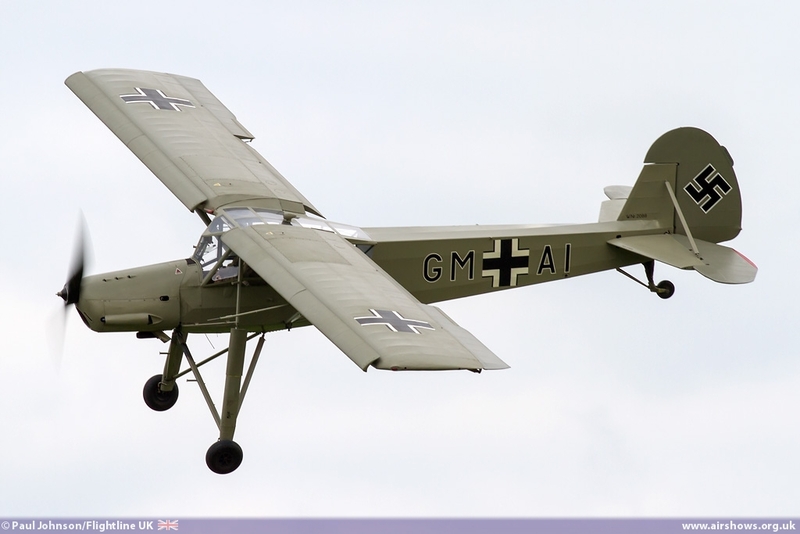 The gliders were interspersed by displays by two visiting acts. 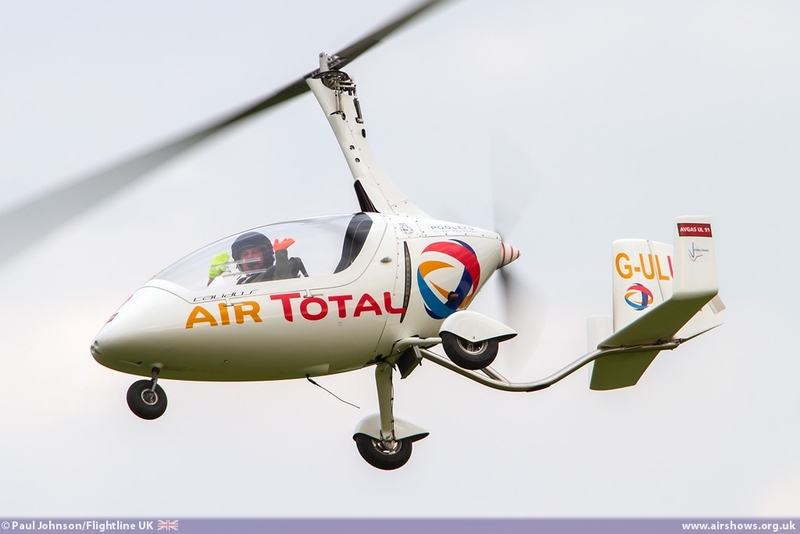 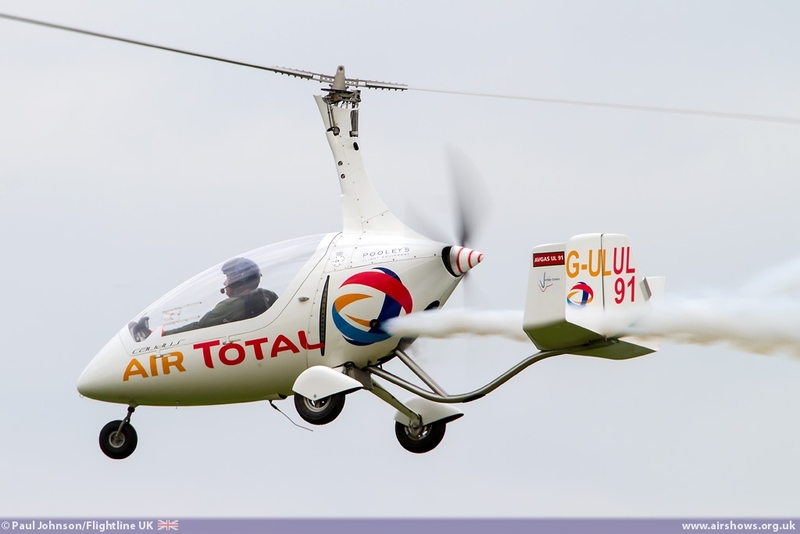 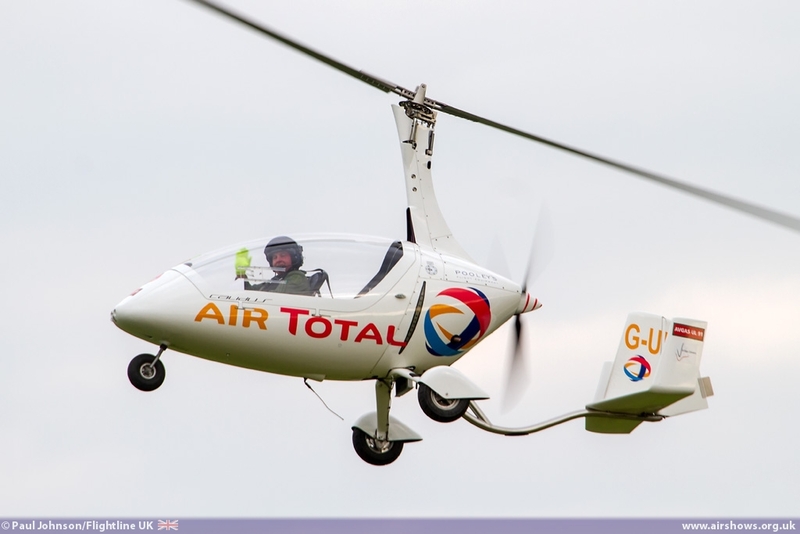 First to the display was the Calidus Autogyro. 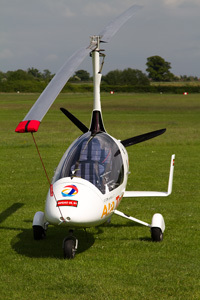 Gyros are unlikely display acts being quite small and often fairly distant. 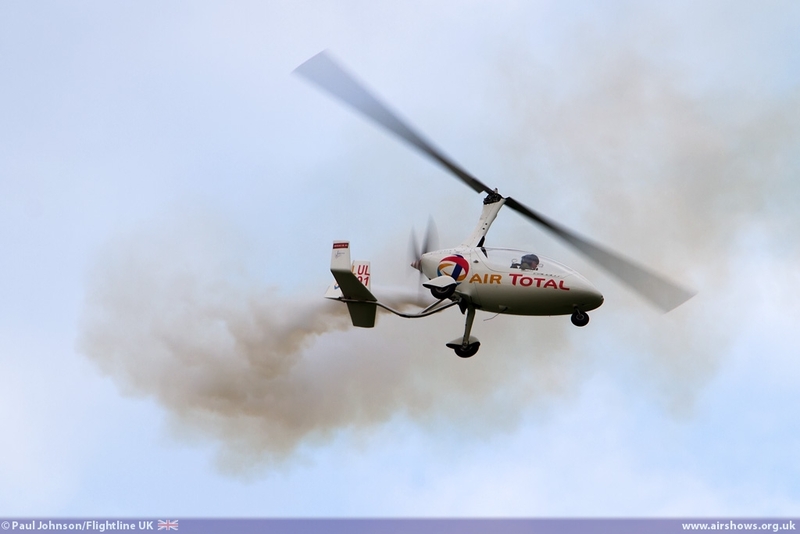 However, Peter Troy-Davies display was completely different keeping the rather sleek machine as close in to the crowd and putting on a very dramatic display with steep tight turns, rapid climbs and spiralling descents highlighted by a smoke system. 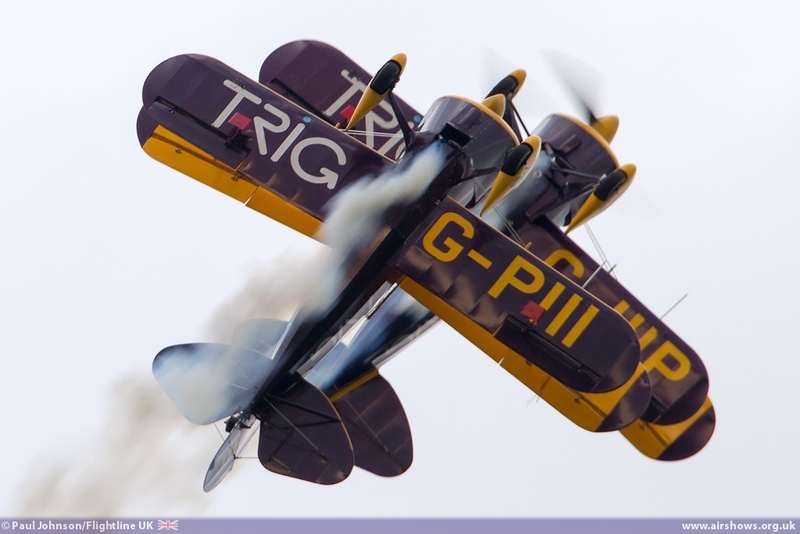 Second of the visiting displays was the TRIG Aerobatic Team presenting a pair of Pitts S-1D Specials. 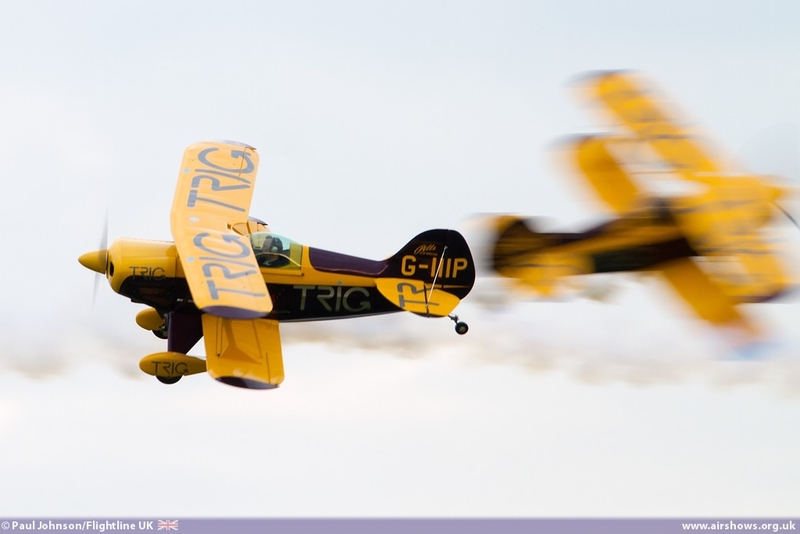 Richard Grace and Dave Puleston put on a fantastic display of formation, solo and opposition aerobatics and it was great to see them at Old Warden. 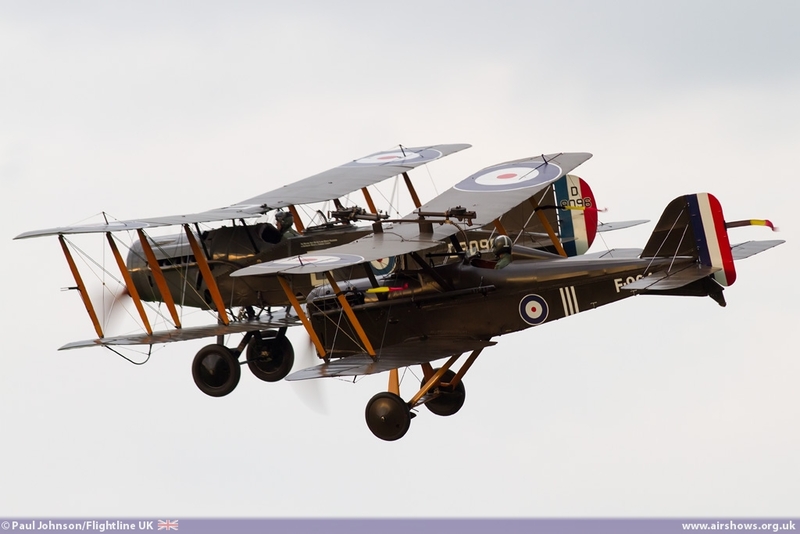 Following the TRIG team, the rest of the flying was purely made up of aircraft from the Shuttleworth Collection. 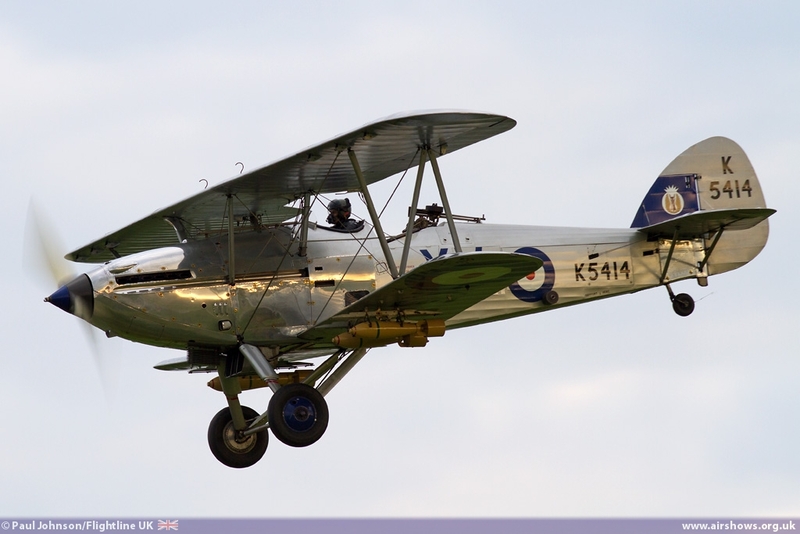 'Silver Wings' was the next segment which concentrated on some of the collection's 1930's military machinery. 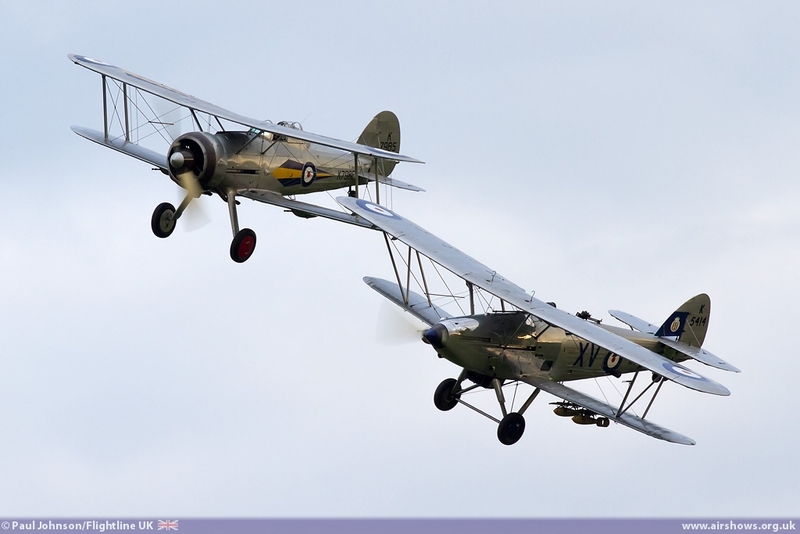 First off were the more potent types with sweeping flying displays by the beautiful Gloster Gladiator and Hawker Hind. 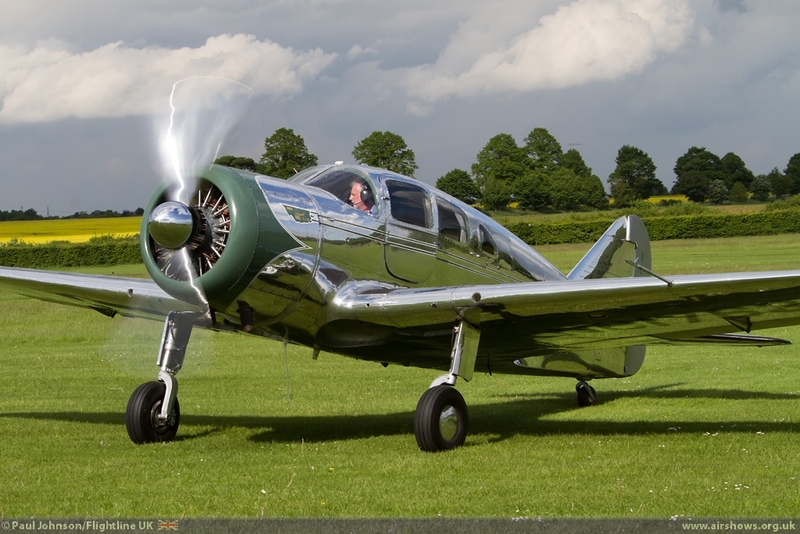 As they displayed the overcast just started to break and the sunset was reflected by the silver metal cowlings and dope of these stunning machines. 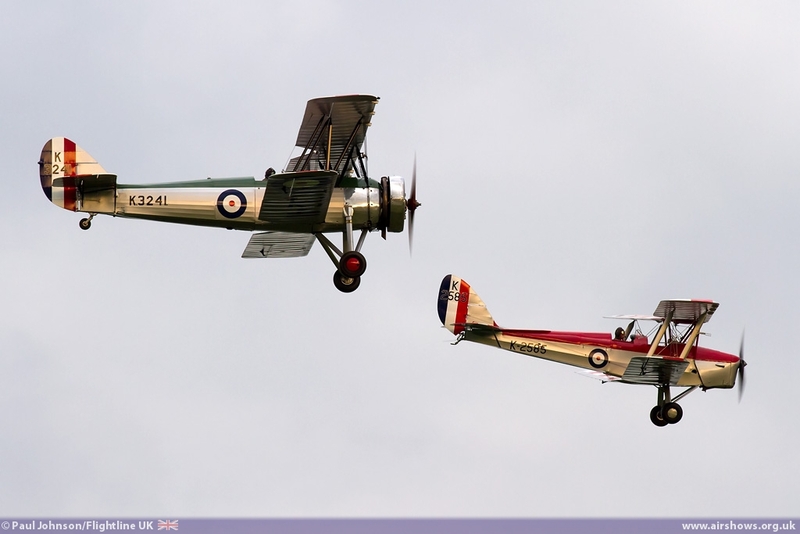 They were followed into the air by two very different trainers; the Avro Tutor and the De Havilland DH82a Tiger Moth. 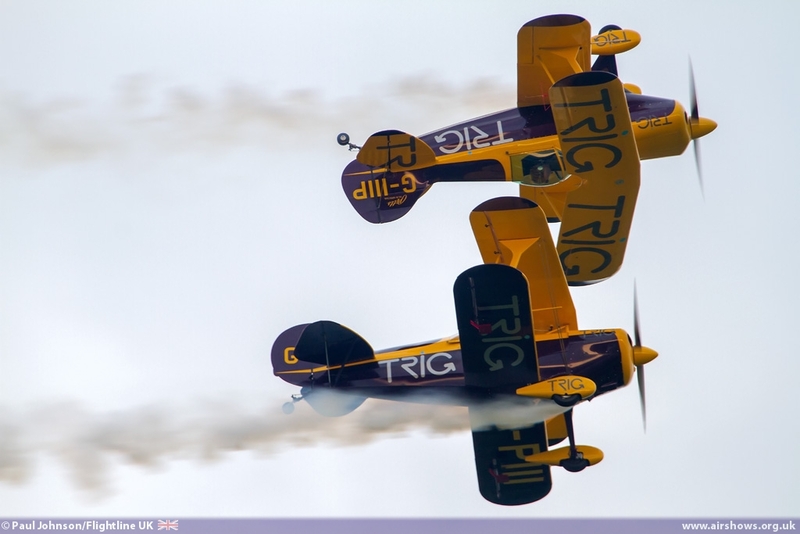 The Tutor is the only flying example of its type and represents an aircraft of the Central Flying School aerobatic team with it's sunburst scheme on the upper flying surfaces. 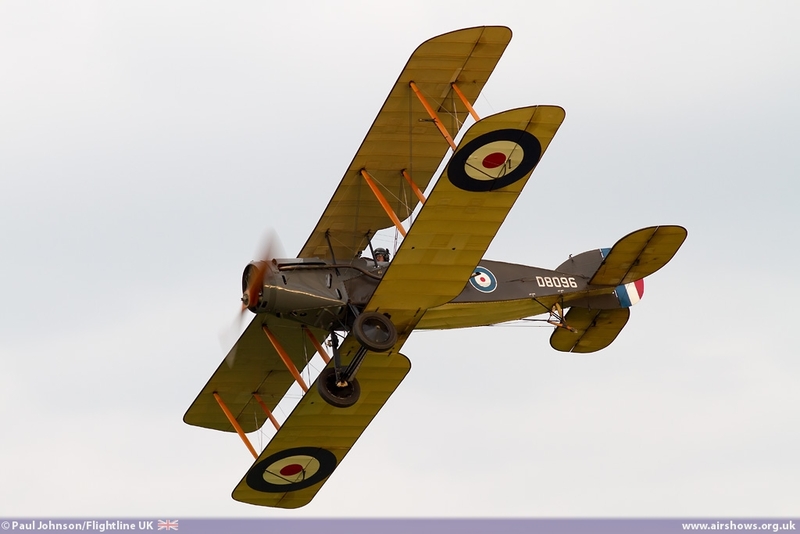 The Tiger Moth may have survived in great numbers, but nevertheless is an important member of the collection. 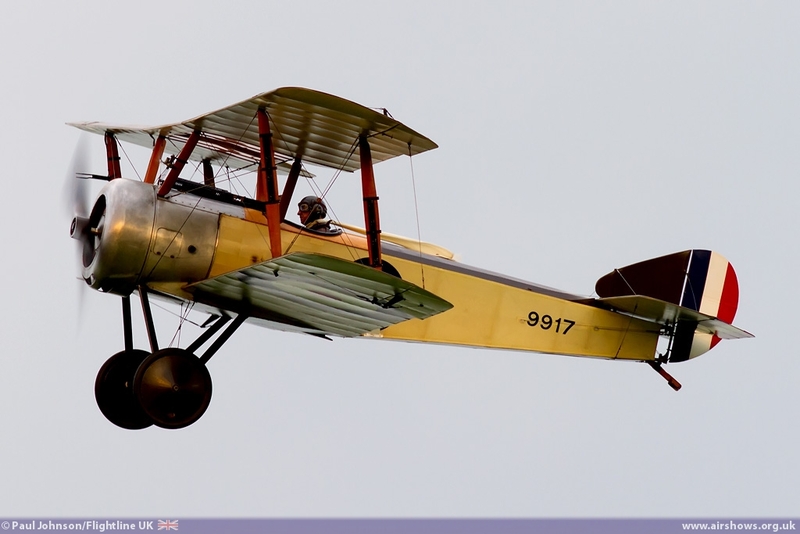 Chris Heames put the Tiger through a brief aerobatic sequence to close this segment of flying. 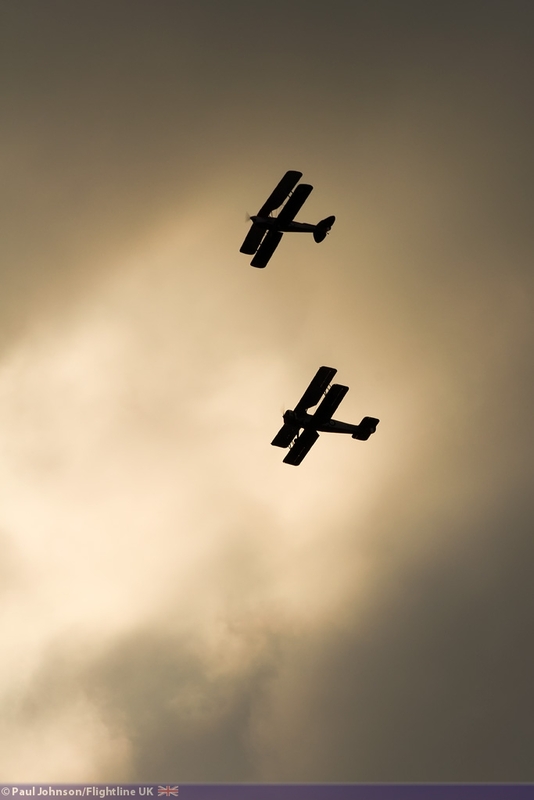 The main flying display was closed by the First World War aircraft and the now bright amber rays of the sunshine gave the perfect 'Dusk Patrol' lighting for their displays. 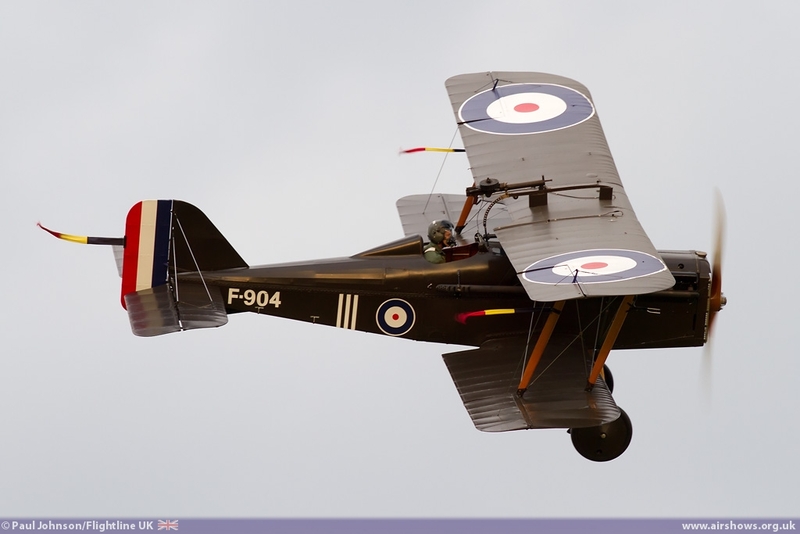 This part of the displays saw the Bristol F2b Fighter, RAF SE5a, Sopwith Triplane and Sopwith Pup all take to the air. 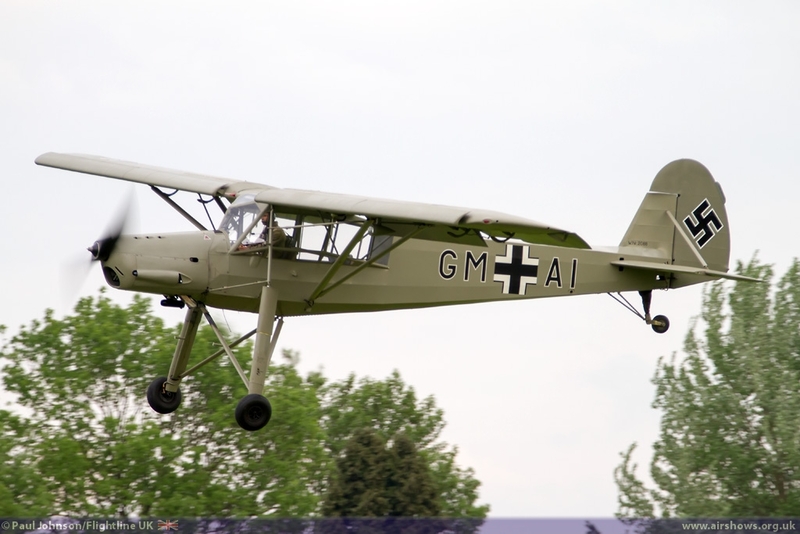 It had been hoped the Avro 504K in its new Night Fighter guise would join in but alas despite an afternoon test flight it will wait to join the Collection's flying displays. 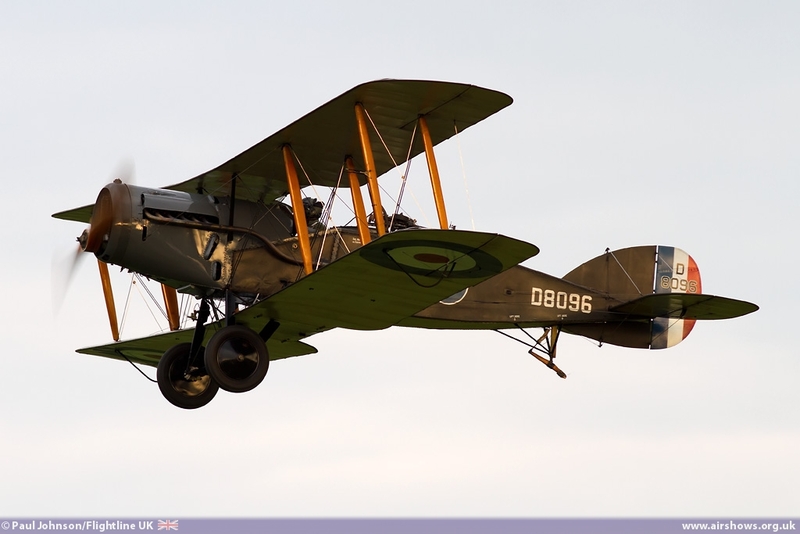 Initially it had looked very good for a full display by all the airworthy Edwardians. 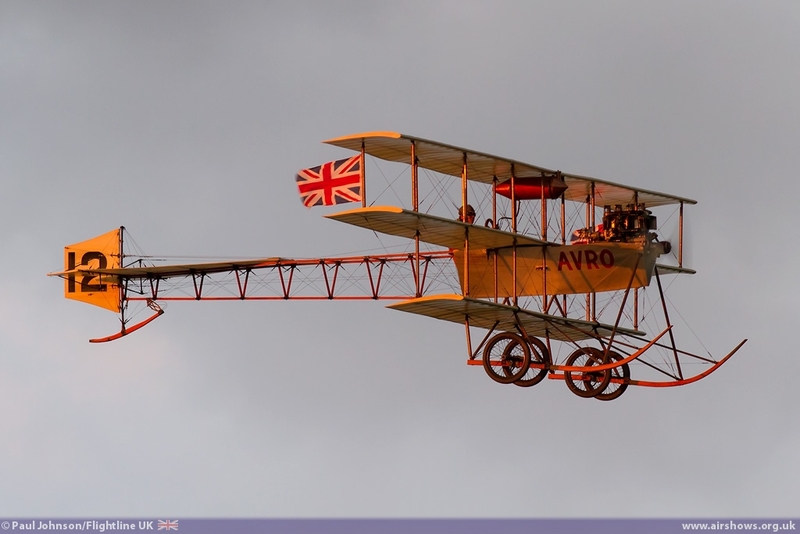 First in sky was the Avro Triplane, perhaps the most resilient of the Edwardians went it comes to prevailing weather conditions. 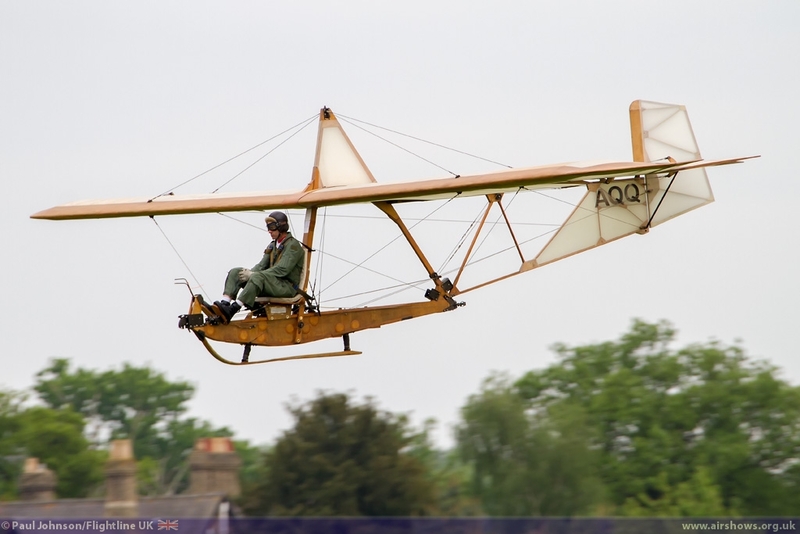 It was followed by what turn into the flying finale with the Deperdussin Monoplane making three short hops up and down Old Warden's main grass runway. 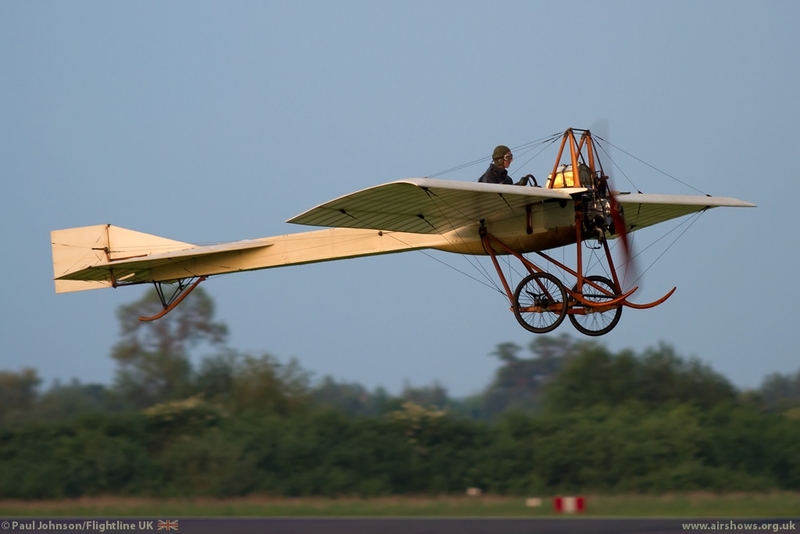 While it was performing the wind sadly freshened up a bit curtailing this unique spectacle of the world's oldest flying machines and another superb display.